April was generally wetter than normal across California, except south of the Tehachapi's; while there were above normal temps near the coast and cooler readings inland. 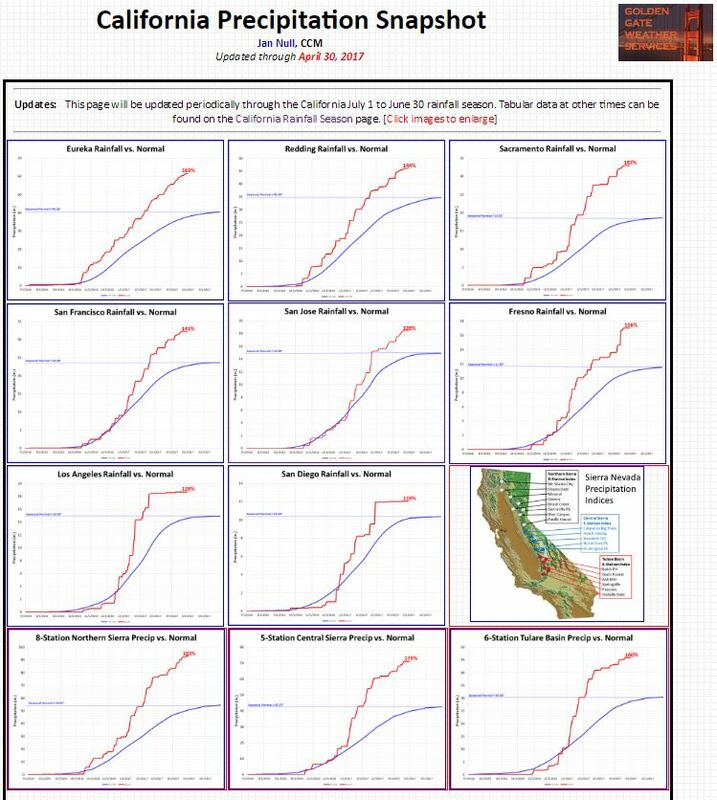 See California Key City Climatology. 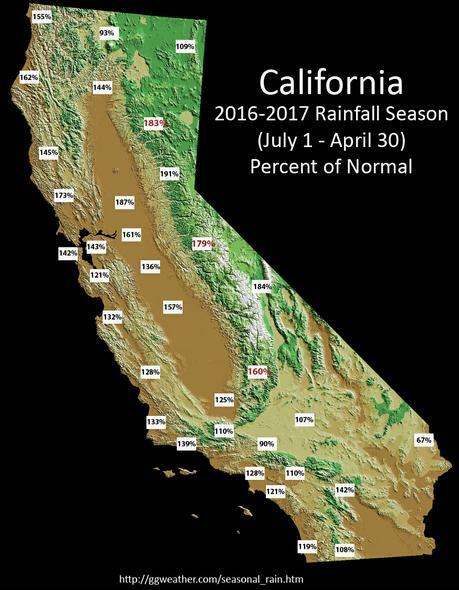 The California Precipitation Snapshot has also been updated.